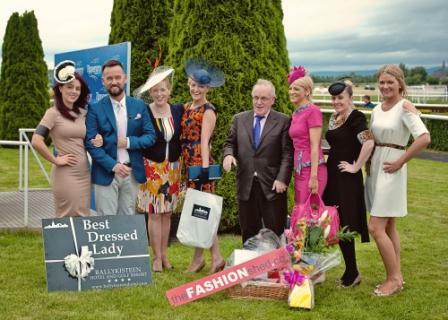 Congratulations to Fiona O’Shaughnessy from Clonmel who won the Best Dressed Lady competition at Tipperary racecourse on Sunday 22nd July 2012. Fiona won a €1,000 prize package from theFASHIONshed.com and a two night stay at Kinnitty Castle hotel & golf resort with a four course meal, spa package and green fees included. Brendan Courtney was the judge on the day. 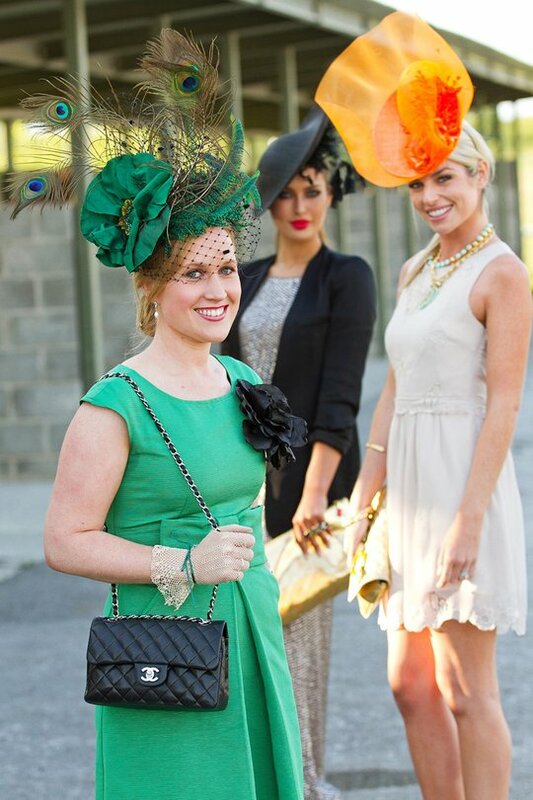 Congratulations to Sarah Gene Loughnane from Birr who won the Best Dressed Lady competition at the Gigginstown Midlands National day at Kilbeggan racecourse on Friday 20th July 2012. Sarah won a €2,000 prize package including a €1,000 shopping spree at Dundrum Town Centre and a woman of style stay at Wineport Lodge. 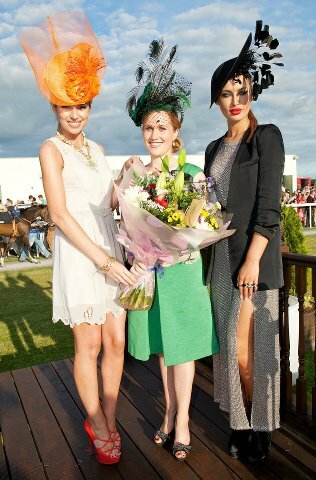 The judges on the day were models Pippa O’Connor and Roz Purcell. 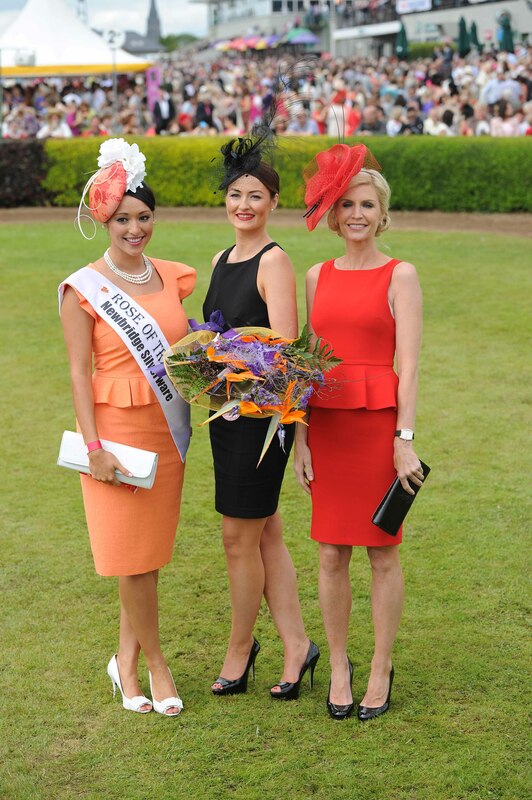 Congratulations to Ciara Kelly from Co. Kerry who won the Dawn Dairies Best Dressed Ladies competition at Killarney racecourse on Thursday 19th July 2012. Ciara won a luxury trip for two to Paris. The judges were Yvonne Keating and the 2011 Rose of Tralee Tara Talbot. 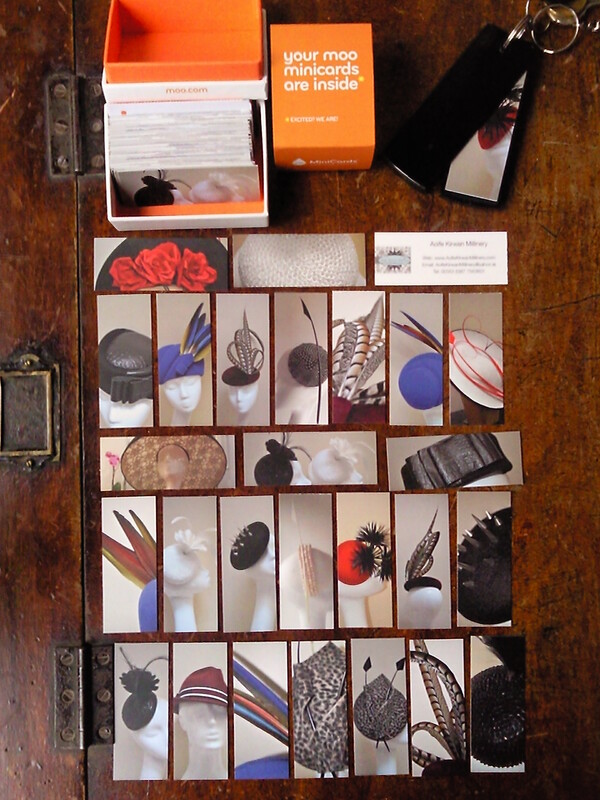 Just received a delivery from www.moo.com of these cute mini business cards with photos of some of my hats on one side and my contact details on the other. 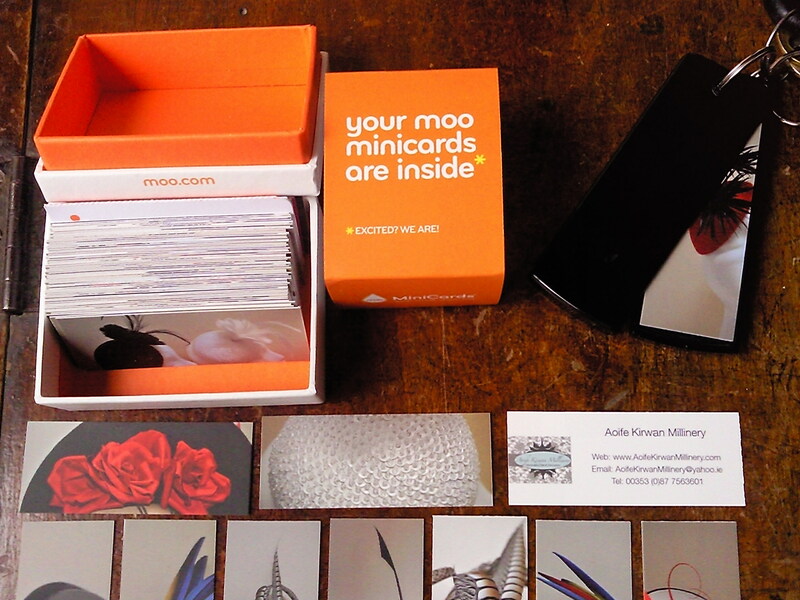 Also got a very hand little holder to go on my keys so that I never get caught out again without business cards on me. 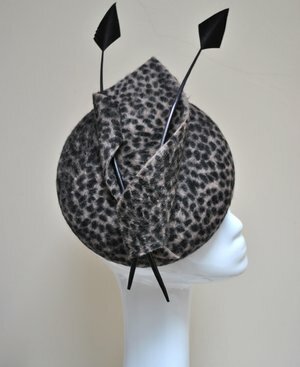 Delighted to have been interviewed by the lovely Georgina Heffernan for the RTE Fashion Page.